Bob Eckstein will be roving around Manhattan tomorrow, drawing and commenting for The New York Times as he tailgates at various locales. By going to this link you can follow his exploits. From his blog, Paul Karisik reports on Angouleme 2012. Lots to read/look at/enjoy. 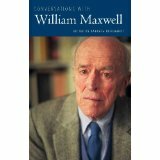 Barbara Burkhardt, who wrote William Maxwell: A Literary Life (University of Mississippi Press, 2005) has edited Conversations with William Maxwell (University of Mississippi Press, June, 2012. It was called “seeing artists.” The first time they paraded in one after another I was struck by the fact that they all looked like the people in their drawings. From Attempted Bloggery, January 31, 2012, “He can’t remember his name…” — a look at a Peter Arno rough sketch. The published version appeared in The New Yorker, June 6, 1942.